KS2 @ Hill Mead Primary, Brixton: Is Rumpelstiltskin appropriate for children? Thank you for your fantastic letters recommending stories to include in the anthology. You make some very good points relating to each story. I am just making a final decision as to what stories I will include and then I will inform you of my choices. This, however, is not the main reason for me writing to you today. Sadly Miss Waters and I have had a disagreement around the inclusion of Rumpelstiltskin and as this is your anthology we thought you may be able to resolve it. Miss Waters thinks that Rumpelstiltskin is far too scary for small children to read and that it would give children nightmares. I, on the other hand, think that Rumpelstiltskin tearing himself apart is obviously fictional and the children will see the amusing side to it. For me, the moral of the story is clear. I think Rumpelstiltskin very clearly shows children that greediness is not a good thing and can only lead to heartbreak whereas Miss Waters feels that because the king does not get punished in the end that the children will not learn the lesson. Finally, we both believe that every story should have a baddie in it but that there is some confusion over who the baddie is in this story. I would have to agree with Miss Waters that it is quite discombobulating for an adult to recognise let alone a child. What are your thoughts? Who do you think is the bad character? Thank you for taking the time to consider our conundrum. We look forward to hearing your thoughts as we know they will have the best interests of our young children at the source. What do you think? Do you agree or disagree with Mrs Lawrence? Mrs Lawerance I respect your opinion because you are an intelligent women and you know whether the story Rumpelstilskin is appropriate for ks1. However, I strong disagree with you because in half of the story it can give you nightmares. Not only that but some ks1 would think that it is good to be greedy and not get punished. That's not the only reason I disagree with you secondly I think there is a clear baddie. It is the king because ever time the millers daughter spins the straws into gold he keeps on being greedy and asking for more gold. You've argued your case well Adeline. Make sure you check back your sentences for punctuation and to ensure you've chosen the right word. For example, when you say "ever time the millers daughter" I think you mean "every time the miller's daughter". I would normally agree with as you always make the right decisions.I have learnt lots of things from the stories you have chosen for us.However in this case I disagree with you. For me, Rumpelstilskin shouldn't be in the anthology because the moral of the story is not really clear as the King does not get punished.All the children would think they can do what they like without facing the consequences. Also Rumpelstilskin should not be included as in every fairytale there should be a fairytale.Although in this story we can't really tell who it is. Yes I think the moral is very important. You've made a good point. Read back your work though, you've written that "in every fairytale there should be a fairytale". I'm pretty sure that this was a mistake! In my opinion, the stories I've read have a clear setting and moral. From my point of view you have great intelligence that can lead to having a great mind for ks1 children however unfortunately I strongly disagree. You've made a strong argument here Siham. Pointing out that Miss Water used to be a Year 2 teacher is a clever technique. It is called an 'appeal to authority'. I hope it doesn't backfire though: Mrs Lawrence might be offended that you think Miss Waters knows best! Mrs Lawrance, I know that you have strongly considered the right stories to include in the KS1 anthology, although I will have to disagree with Rumpelstiltskin. The reason why I have to disagree with this one is because although KS1 would see the clear Moral as to not be greedy they might not understand the story very well at the same time,as the King does doesn't get punished at the end.This story could be a little complicated to them but most importantly it could give them nightmares. I believe they will get nightmares because the millers daugher gets locked up in a room. Very good point! Rumpelstiltskin tearing himself apart is clearly fantasy but the part about the Miller's daughter being locked up feels a little too real, and very scary. Mrs Lawrence I strongly agree with your points because I think the books I have read are as good as this one. Even though rumpelstiltskin tears him self apart the children will see the fun side of it like you said in your letter. For me I think that it has a clear moral too. In the story the children can clearly see that Rumpelstiltskin is greedy. This will teach the children that greediness can only lead to heart break. However you and Miss Walters don't know who is the baddie is I think that it could be Rumpelstiltskin because when he spun the straw into gold for the millers daughter he always asked for something. On the other hand it could be the king because he always wanted more gold when he saw the baskets were full with gold. Thank you for listening to my opinion,I know you will make the right choice. A very balanced argument. It sounds like you agree that the baddie is not clear: it could be either the King or Rumpelstiltskin himself. Do you think that this matters? Or do fairy tales not always need a clear baddie? Mr Ashworth I think that as long as the story has a baddie,the baddie does not have to be clear. Thank you for your fantastic letter, I hope I agree with you because you are so intelligent and smart, because you give wonderful things for us. However I disagree because it is so scary about Rumpelstiltskin was dancing he said hes going to eat the queens baby. This would give children nightmares. You've used flattery very well here Maria. It will make Mrs Lawrence much more likely to listen to your points. I know you are very good at choosing stories.However I strongly disagree with putting Rumpelstiltskin in the anthology. It is moral. Rumpelstiltskin appear in the room and helps the Miller's daughter but he takes her neckless and her ring. He also want to take her baby so he helps her to change it to gold. The young children maybe will change to a bad person.Also when the Miller's daughter know his name he make his to half and die. I think this two thing s can make young children be bad. Yes Jerry, the lessons in Rumpelstiltskin are definitely ambiguous and might even be immoral (I think that's what you meant by 'moral'). Strong argument! I know you have done some very intelligent things in your time. You have worked out some very discombobulating things. I strongly disagree that Rumpelskilskin is a suitable chioce for our year 1 and 2's. When I was young I used to have nightmares of creatures that haunt my dreams and will scare little children like me and make them belief in mythical creatures. He tore himself apart teaching children to answer back their parents and give a tantruim when they don't get their way. Therefore this book is sertenly not appropriate to be in the anthology. I like that you used a personal story to give greater strength to your argument. I know that you are good with fairy tales I agree with you on Rumpelstiltskin. The lesson of Rumpelstiltskin is to never lie because when the miller lied his lie got worse and worse. It is important because if children lied all the time they would keep on getting in trouble and they wouldn't have a easy life they would just have a hard life. Yes, this is a very important moral and I agree with you that it is central to the story. I normally agree with how you did the anthology of bedtime stories. Moreover I strongly agree with Mrs Waters because she really explains why rumpelstiltskin shouldn't be on the anthology because it will traumatise the children. Futhermore I disagree with the moral of the story because rumpelstilskin teaches the children not to be greedy. 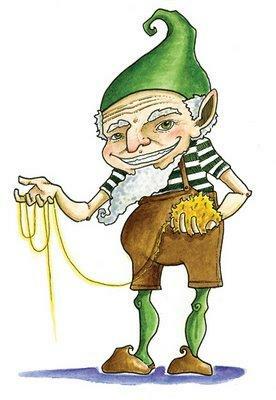 How does Rumpelstiltskin teach children to be greedy? There's some great ideas in here Daniel, well done. Next time make sure you leave some time to read back what you have written to make sure it all makes sense. I know that you know what your doing. You dont want to score scare the children do you ? What im tring to say is that your point is not at all covincing,even though your ideas are usally amazing. Therefor I strongly agrre with Mrs Waters because letting them read it, would give them nightmares after nightmares. So here's my point dontt let them have to go throuh this. how would you feel if you had nigtmares every day? Deverstated right? so why not give them a story of happiness.,Where the lesson's are clear and children understand that there's always consequences to thier actions.For example Little Red Riding Hood the wolf is chopped by the hun. Baddies are the main characters of a story and every baddie alwways has a lesson to lear. And Rumpelstilskin good and bad person, so either way the childern will find it intresting and agree with me on every point.It doesn't deserve a place on your anthology. Emmanuel this is a very well-written argument that uses lots of nice phrases. However, it is let down a little by the fact that you did not re-read it to check that it made sense. There are a few places where you have missed punctuation or put in the wrong word. I am sure that if you had checked your work you would have picked up on these and made it even better! Mrs Lawrence,I agree with you 100 percent.Because even though some children will get nightmares from Rumpelstiltskin it still has a good lesson .I remember when I was little I always used to laugh at it. I disagree with Mrs Waters point about it being scary for children.An imp tearing himself in half is hilarious.It will also be great for boys because we like a little bit of violence.Which will encourage our reluctant readers to read and enjoy. Great points Bilal. You have pulled together lots of great arguments into one coherent case. Make sure you check your capital letters and that you leave a space after a full stop. Dear MRS Lawrence and miss Water,I think Rumpelstiltskin shouldn't be anthology because it has no good lesson and it teaches bad things.although every baddies get punished for a bad reason but one of them didst and that is the king, that teaches the young children to do anything which isn't good. it is to scary for the young children in year 2 and we don't want that to happen,do you want that to happen Mrs Lawrence. you do make a point that its amusing but the point is it has to be amusing for the others and they have like it. You've made a persuasive case here Jakhir, I think Mrs Lawrence will be persuaded. Make sure you use capital letters at the beginning of a sentence though. I know you know to do this, you just need to remember to do it! I have always enjoyed reading the books that you have bought us to read. It really has been a pleasure. You have a really good taste of books, But on this one, I have to disagree. Normally fairy tales have a good lesson to follow but this one I don't recommend teaching your children it. Instead of teaching them to be helpful it teaches them to be greedy and not get punished for it. Also it teaches to have a tantrum if they don't get their own way, As Rumpelstiltskin tore himself up when he didn't get his own way. I hope you understand that I'm against you putting Rumpelstiltskin just because of the horrid morals. Nice work Amira. You have used the features of a letter accurately and effectively. Your language is measured yet effective. Good work. Miss Waters I strongly disagree with you even though you provide us with amazing books.But this time I have to agree with Mrs Lawrence. Rumpelstiltskin clearly shows why you should not be greedy. The story shows there is more than one side to good and bad because the children wont be able to agree if Rumpelstiltskin is a baddie.So in class they could have a discussion whether he is a baddie or not. Don't you think they would enjoy the lesson and do their best? This story must be part of the anthology or part of it will be missing. This story is a really unique book because there is more than one baddie.This story is much better than Hansel and Gretel because the story do sent have a moral while Rumpelstiltskin is enjoyable and has a moral. Without this story the anthology will not be what it could have been. A discussion about whether Rumpelstiltskin is a baddie sounds like an excellent learning experience for Key Stage 1. You could be a teacher Ise! You have made a very balanced case here. Why do you think that Miss Waters' points are more important than Mrs Lawrence's? I have spent hours looking over your letter and tying to decide whether Rumplestilkskin is appropriate enough to go in the Anthology of Bedtime story and I finally came to a conclusion. I agree with Miss Waters. This doesn't mean your points aren't as good it means her points were more valid. You do make an excellent point about Rumplestilkskin being greedy and as you are so wise everything you do and say is right but don't you think people splitting, baddie or not is a bit over the line? Especially for a children's book. this is just one of the reasons Rumplestilkskin shouldn't be in there Anthology of Bedtime stories. I agree with you in everyway that that it is amusing and the moral is clear, but don't you think the king should get punished for his greedy acts as well? He should also get punished for keeping Anna hostage and threatening to kill her. My opinion is that you shouldn't put Rumplestilkskin in the Anthology of bedtime stories as it's scary and traumatising to young children. Excellent use of flattery here Aaliyah! Mrs Lawrence will be charmed, I'm sure. Dear Miss Lawrence you are the smartest teacher i know. You always make good choices whether not if this book should be for the key stage 1. Well i disagree with you Rumple Silskin should be in the key stage one book corner because it is a good book and it will tell them not to trust a prince or a princes because if you can do something amazing they are only just using you. Also if you cant to it just tell them and stop suffering what you cant do. Miss Waters i strongly agree with your thoughts because i remember when i was little and i used to have a lot of terrifying nightmares which i still remember up to this day and so i think no other child should suffer the same as me so i strongly disagree with Rumpelstiltskin in your anthology. Dear Miss Waters and Mrs Lawrence although you have a great idea. Sorry to say I agree with Mrs Lawrence because it teaches our younger children a lesson.I disagree with Miss Water because our younger children should know that fairy tales are not true and there are some bad things in there but it makes our children more interested in the story. For the KS1 anthology the story Rumpelstiltskin is scary for children, however the majority know that it is fantasy. It's a privilege to be writing you this letter. I'm writing in the hope that you would choose my fairy tale little red riding hood for the anthology for ks1. I believe that fairy tales teach children life lessons and I want mine to be. Let's look at the different themes that fairy tale introduce to children in ks1 such as love and care, friendship and team work. These are all themes that are demonstrated in little red riding hood. Surly you would agree that it is important for children to be thought these lesson and morals of life. This an interesting new perspective Elizabeth. I'd not considered Rumpelstiltskin as having two personalities before. But I think your great ideas are let down a little by your punctuation and spelling. Make sure when you type your writing out you pay as much attention to this as you would when writing by hand. In particular, you certainly know better than to miss out capital letters! Can you go back and correct your work? In my opinion I believe, that rumpelstilskin is a bad character because he wanted to have the queens baby.That is stealing so I wouldn't want little children to think that it's okay when it isn't.Therefore, I think he has two personalities because in the beginning he was good and in the end he was bad.